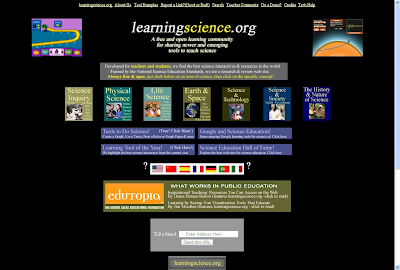 Learningscience.org is a great resource for science teachers. It is a free online collection of resources for teaching science, organized by subject area and standards. The site has tools for science, such as graphing, timekeeping, and graph paper, links to other resources, ways to use Google apps in science. When I looked under physical science, I found information and resources separated by standards for different grade levels. From there, I was brought to a list of online resources to use when teaching each standard. Some of them I already knew about, but many were new to me. I recommend that all science teachers take a look at this site. It is well organized, easy to use, and has a lot of great resources for your lessons.